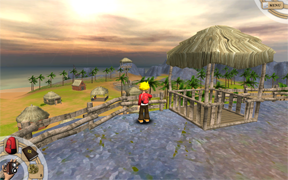 August 19, 2010— Your adventure begins in a village on a deserted island supplied only with a backpack. The necessities have already been provided—a camera, notebook and map—and will aid you in navigating this quest on foot. No, you are not a part of the next big reality show in island adventures. 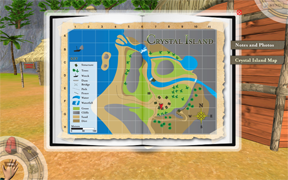 It’s Crystal Island, an educational science video game for elementary school students, and its ability to teach and engage is taking the science lesson to a new level. The project, a four-year, $2.5 million grant from the National Science Foundation, is a collaboration between NC State’s College of Education and the Department of Computer Science in NC State’s College of Engineering. 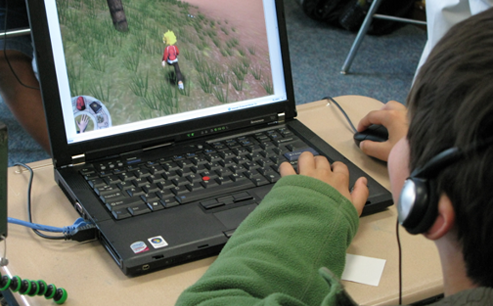 It is an expansion of another NSF-funded study that found that game-based learning has the potential to teach required science curriculum to eighth-graders. The current focus is on fifth-graders. “The goal is to determine which technologies and conditions contribute most effectively to learning processes,” says Dr. James Lester, professor of computer science at NC State and the principal investigator for the grant. This past June researchers took Crystal Island into the classroom, allowing fifth graders at A.B. Combs Elementary School in Raleigh to participate in a field study that will assist in the game’s development. “We’re excited about the prospects of Crystal Island helping our students learn science content and 21st century skills such as collaboration, synthesizing information and problem solving,” said Shannon Page, A.B. Combs teacher. With the dual goals of learning effectiveness and engagement, Crystal Island gives students the chance to explore, experience and learn. While the middle school version had a curricular focus of microbiology and supports single players, the elementary school (fifth grade) version focuses on landforms and ecosystems, and will eventually support multiple players. A multidisciplinary team is working with Lester and Spires to design and implement Crystal Island. Members include Co-PIs, Dr. John Nietfeld and Dr. James Minogue, Research Scientist Bradford Mott and a talented group of graduate and undergraduate students from Computer Science, the College of Education, and the College of Design. For more information on Crystal Island Click Here.